Overlooking view of a densely populated coastal cityscape. with highrise buildings over a complex highway system and a busy shipping harbor. 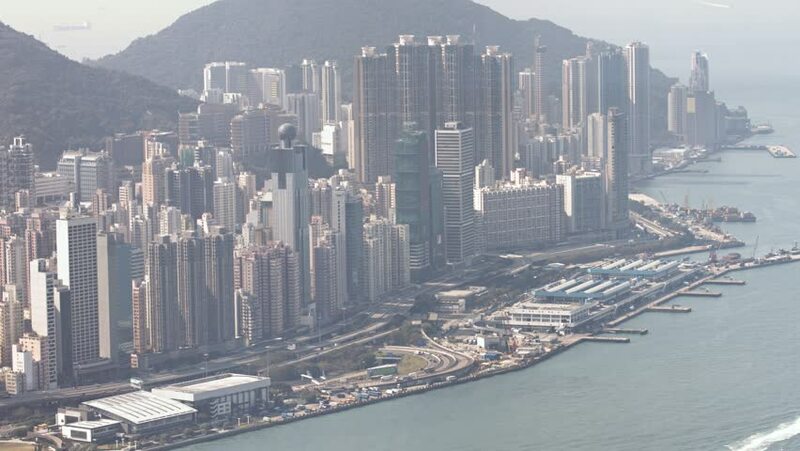 hd00:53Hong Kong skyline of Victoria Harbour, kowloon side. hd00:51Hong Kong skyline of Victoria Harbour, time lapse with fast forward editing. 4k00:15MIAMI SKYLINE - 2015 early morning light, viewing Miami heading north past Brickell Key, clear air. hd00:15Kowloon Cruise Terminal - Cruise Terminal, Tsim Sha Tsui, Kowloon, Victoria harbor and city skyline, Hong Kong. hd00:10Hong Kong City skyline - Central District, Victoria Harborand Hong Kong Island, Hong Kong. 4k00:21Aerial view above the East River. Famous Manhattan skyscrapers. Traffic passing by FDR Drive. Manhattan. United States, North America. Shot from a helicopter.